For seniors with Alzheimer’s, a memory box helps recall people and events from the past. These memories, thought to be lost, can stimulate the senior emotionally and prompt conversation with loved ones. Something as simple as the feel of an old baseball glove, the familiar texture of seashells collected on vacation or childhood photos are the types of items that hold precious memories. A Memory Box containing these meaningful reminders can be a source of pleasure and encouragement for a loved one as they make the journey into old age. 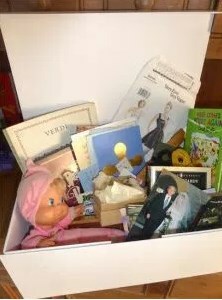 Memory boxes are frequently used in order to promote engagement opportunities for people living with Alzheimer’s disease or a related dementia. Memory boxes can prompt conversation and provide mental and emotional stimulation. 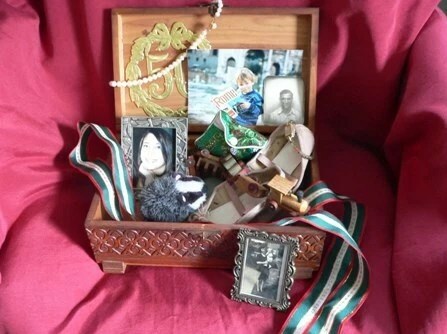 For a person living with a memory-loss condition, the items or objects in a memory box can help them reflect on the past and recall people and events. A three-year-old’s works of art, a newspaper clipping, or a family photo; memory boxes hold items that bring us back to a time or even a moment that we hold dear. When a senior who has Alzheimer’s opens a memory box, it can stir thoughts of happy moments in life and give that person something to talk about. Research shows that talking with people who have Alzheimer’s disease or other dementias about their lives can create positive emotional experiences, reduce stress and provide a better quality of life. Memory boxes can help produce these beneficial responses by connecting residents to what they love or help them feel comfortable and happy. All of our lives are filled with items that hold special personal memories. A memory box should contain a variety of items that hold a special significance for the person diagnosed with a memory-loss condition. The items can be utilized to engage the person or to comfort the person when they need to be calmed. Memory boxes can link seniors to what they love or what makes them feel good about themselves. They can even help hold an Alzheimer’s patient’s identity, with keepsakes emphasizing an overall theme, person, holiday, or an event that lifts the senior’s spirit. Recall fond memories of youth, personal interests, children or history in general. Inspire conversation with caregivers, children or grandchildren. Exercise touch and other senses that the senior will rely on more and more as Alzheimer’s progresses. Spur creativity. The senior may want to create another box about a different life event or memory. Give you more insight to your loved one. When you search for keepsakes, you may find special items you did not realize the senior still had. The first step in creating a memory box is to locate a suitable container. A Memory Box can take many forms—a basket, a plastic bin, a drawer or a shoebox, and can be as decorative or as simple as you like, but it should be a strong, robust box that is easy to store. A box 12 inches by 9 inches (about the size of a shoebox) is ideal. It should be easy to access and lift, store a number of items of reasonable shapes and sizes, and fit on your loved one’s lap or a small table. If the memory box has compartments, make sure they suit the senior’s fingers and dexterity. This box is something to share and use, so choose a box that will handle some wear and tear, and make sure it has a lid that the senior can open easily. Perhaps grandchildren can decorate the box or help contribute to the collection. 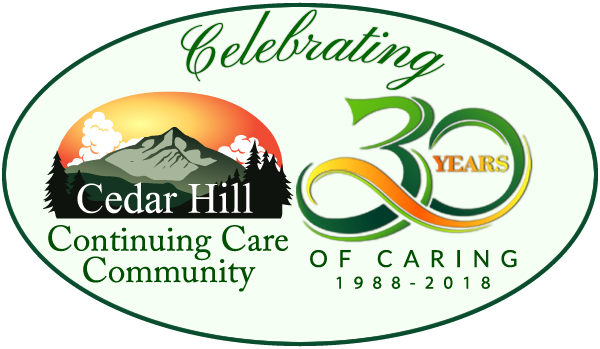 The memory box can include anything that means something to the resident. The contents should reflect the resident’s interests or his or her favorite things or memories. Items stored in a memory box can be personal, like a baby’s toy, or seemingly ordinary, like a blank postcard. A memory box should reflect the senior’s interests or a moment in history that has meaning to that individual.Remember that experiences stored in our brains are not just visual, so try to include items with different textures, scents or sounds. Each item should relate to a memory that can be revisited time and time again. Diaries, letters, newspaper articles and the like may be invaluable reminders. Be aware that some items may open the door to unhappy memories, and you may want to be sensitive to avoid or carefully address discussing these items. Safety–Avoid items that are potentially dangerous, precious, heavy, or sharp. Uniqueness–if an item is rare or irreplaceable, leave it out. Significance–focus on items linked to positive memories. Texture–texture itself can help stir memories – a piece of satin from a favorite dress, a furry stuffed animal, a metal pocket tape measure can all trigger sensory memories. Fragrance- Include items that can be touched and smelled. A lavender sachet might remind them of the one they had in their drawer years ago. Also, bear in mind that the senior may not recognize items right away or understand why they were included, so consider labeling the items—even those that are obvious. For example: Billy’s baseball, Mother’s necklace, gardening trowel, etc. The labels can be attached directly to the items or handwritten tags can be attached to each item. Stickers can fall off, so string tags might work better. You can also include a sheet of paper that lists all the items with a short sentence or phrase about each one. Memory Boxes make a wonderful holiday gift! Check out this article for more ideas for gifts for your loved one. Don’t put it off! Make a memory box as soon as possible, when their memory is still at its sharpest and they can participate and tell the stories behind the items! Baseball glove, baseball, hockey puck, baseball cards, etc. The possibilities for what can be included in a memory box are virtually endless. Be creative and collect a variety of memory-stimulating items designed specifically for the person with Alzheimer’s disease or dementia. When the memory box is completed, have the person handle each item and encourage them to share the special memories associated with them. You can create multiple memory boxes for different themes. Maybe one could hold memories of the kids and another of a favorite hobby. All keepsakes do not have to fit into a single box. When you open the memory box with your senior loved one, ask the senior to share his or her memories. You may find that an item that was meant to stir a certain memory brings on another. Or, it could inspire a waterfall of thoughts and conversation, leaving you with new, lasting memories of your senior loved one.